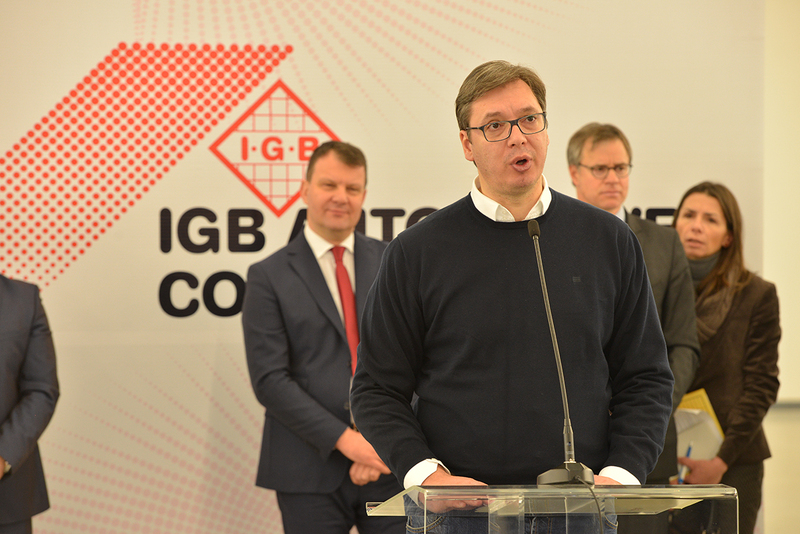 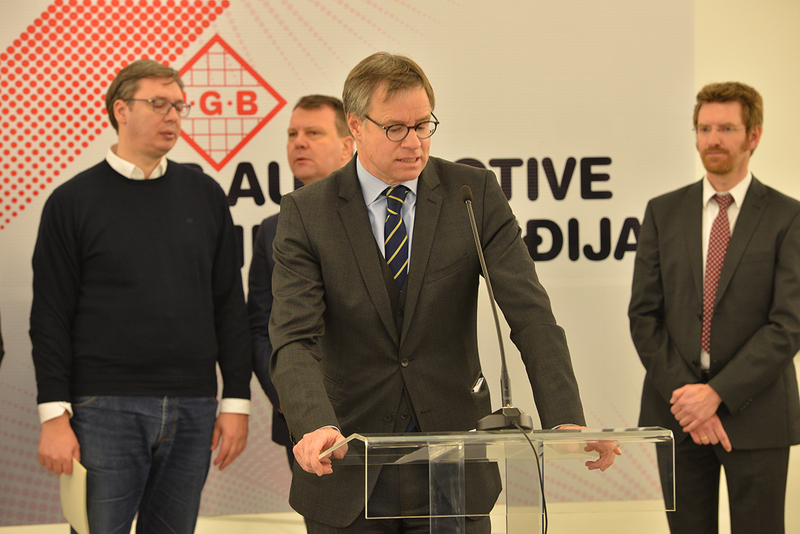 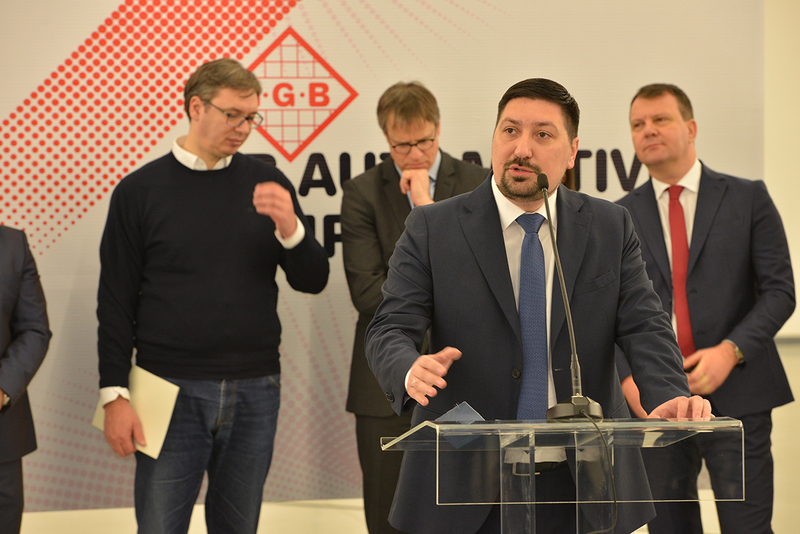 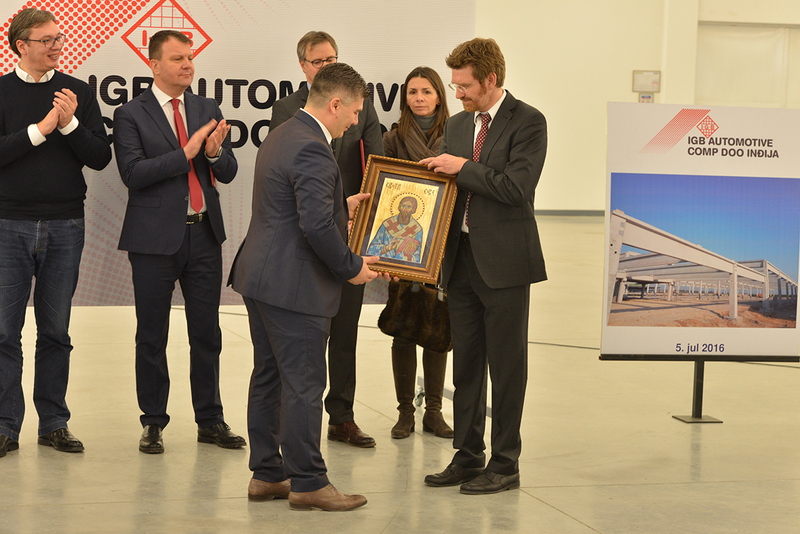 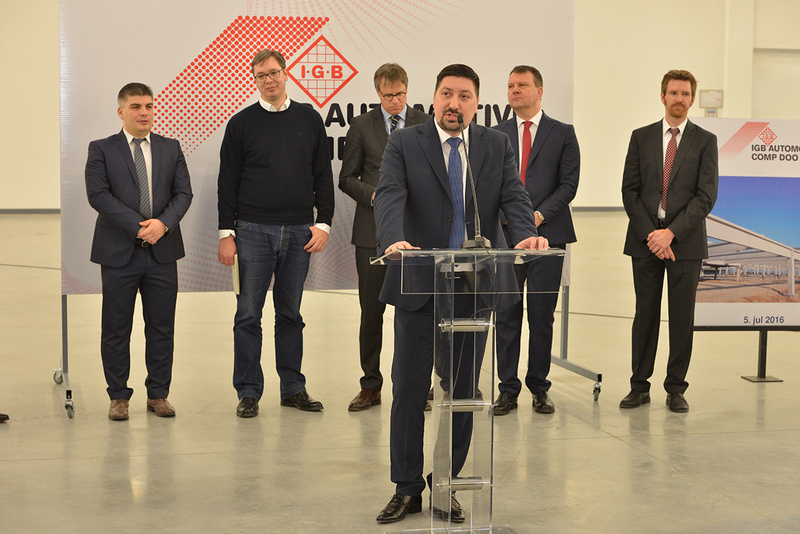 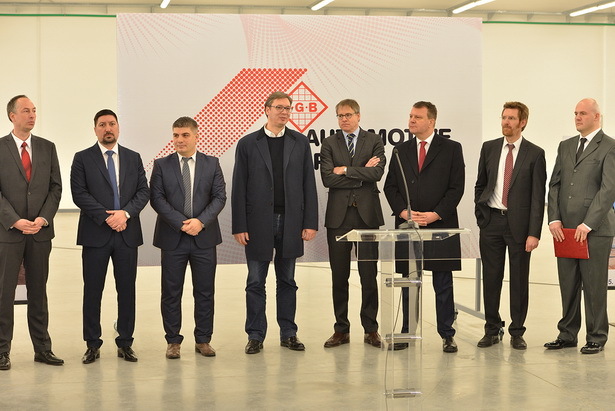 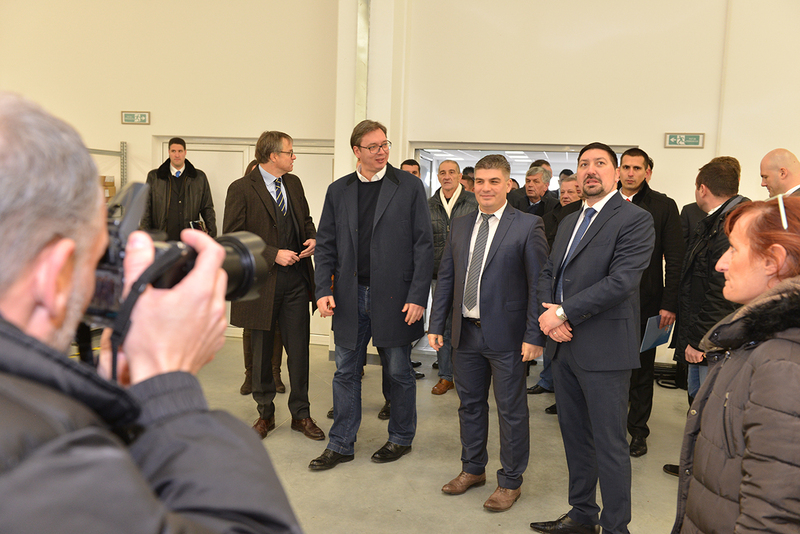 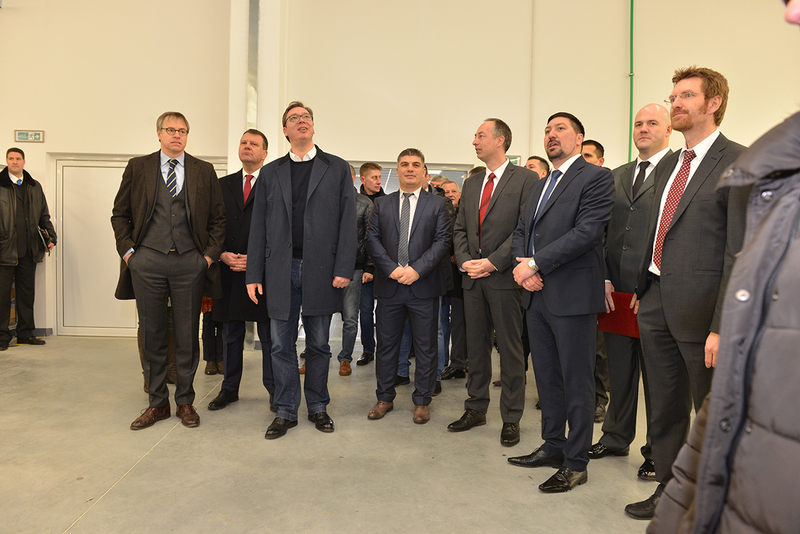 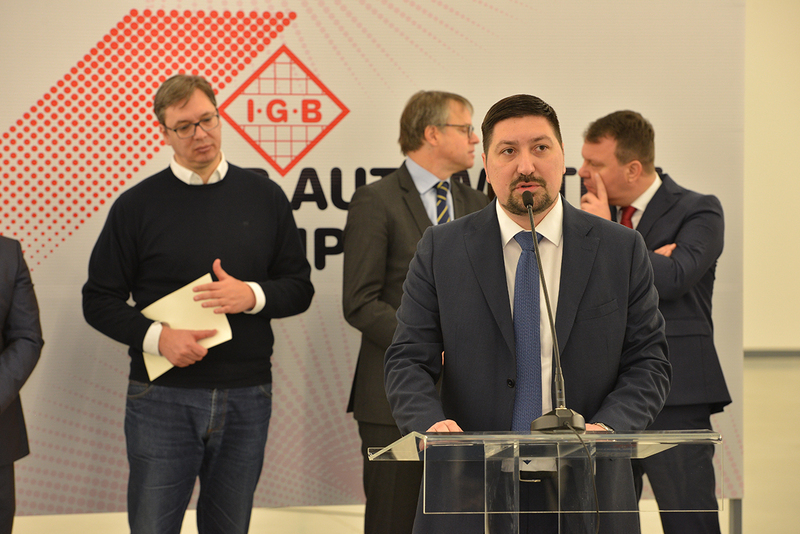 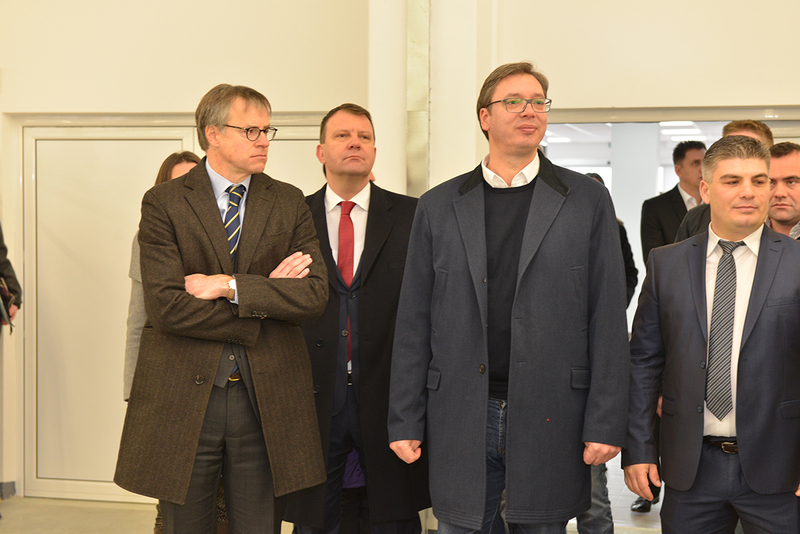 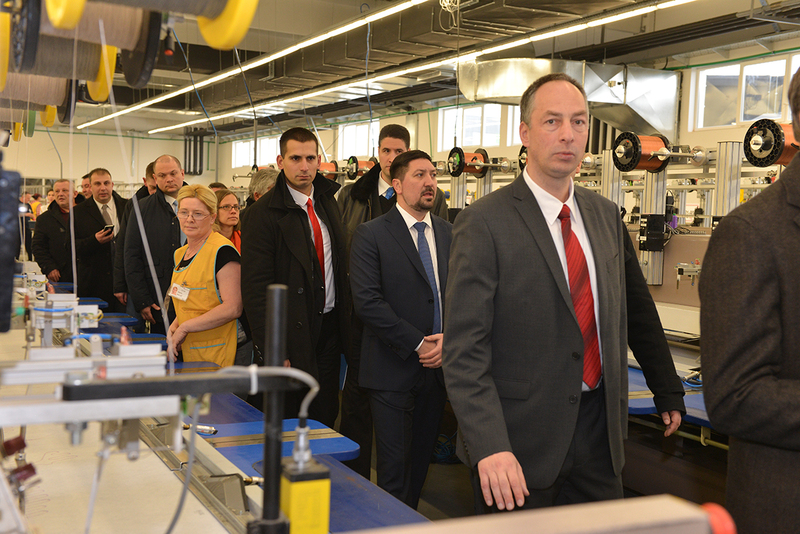 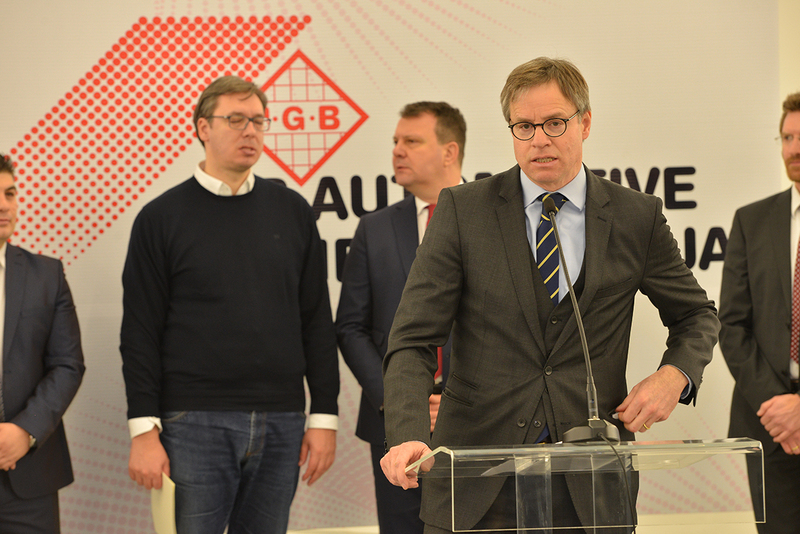 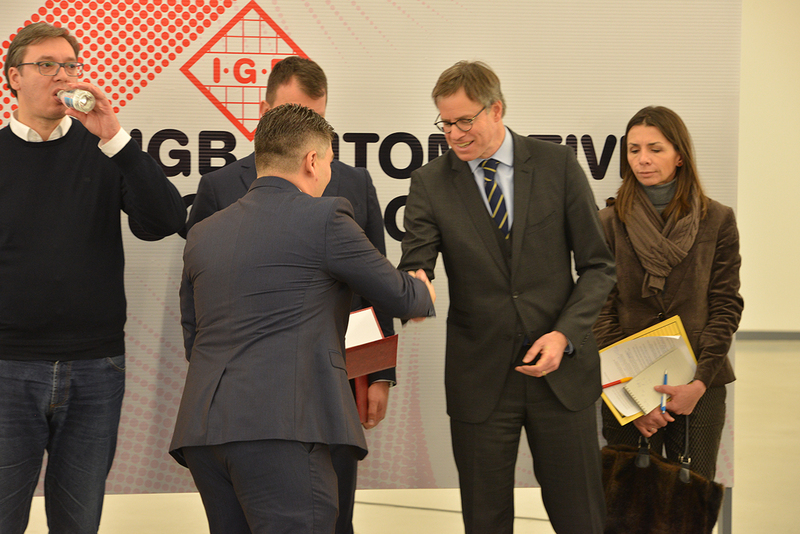 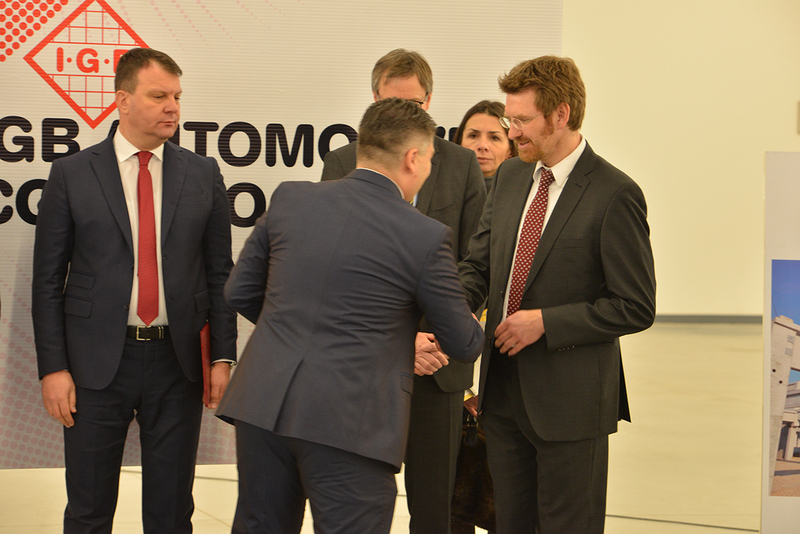 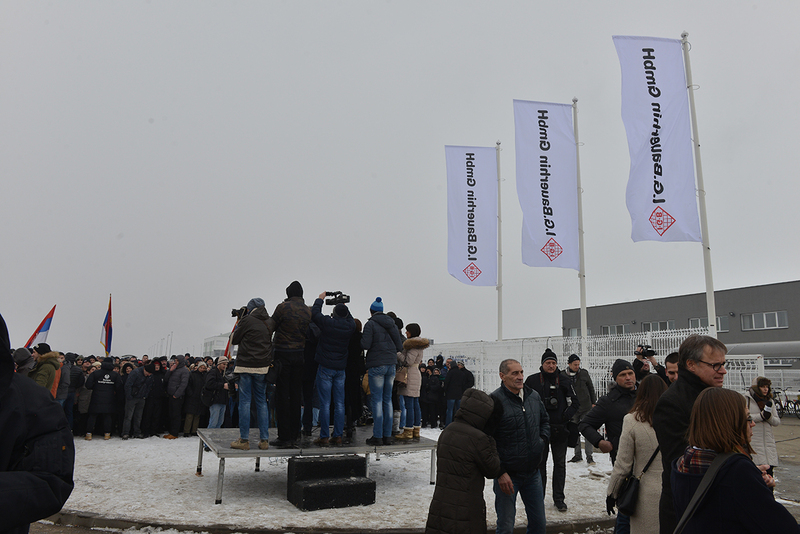 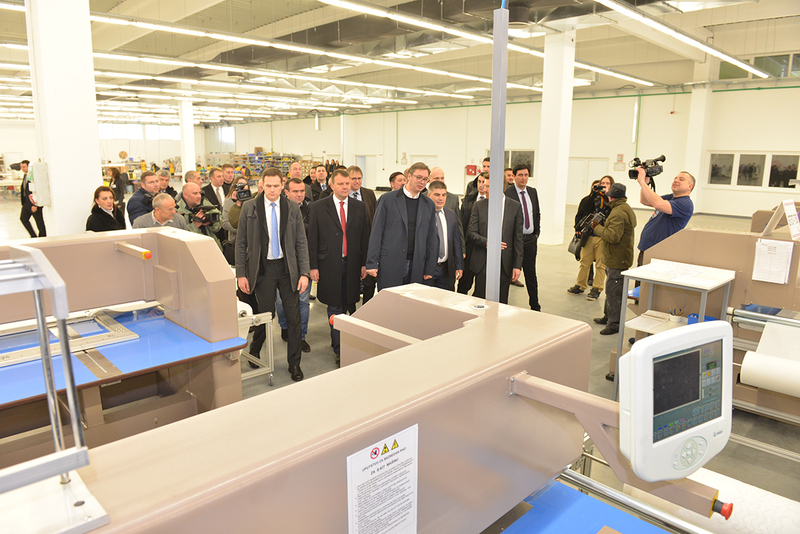 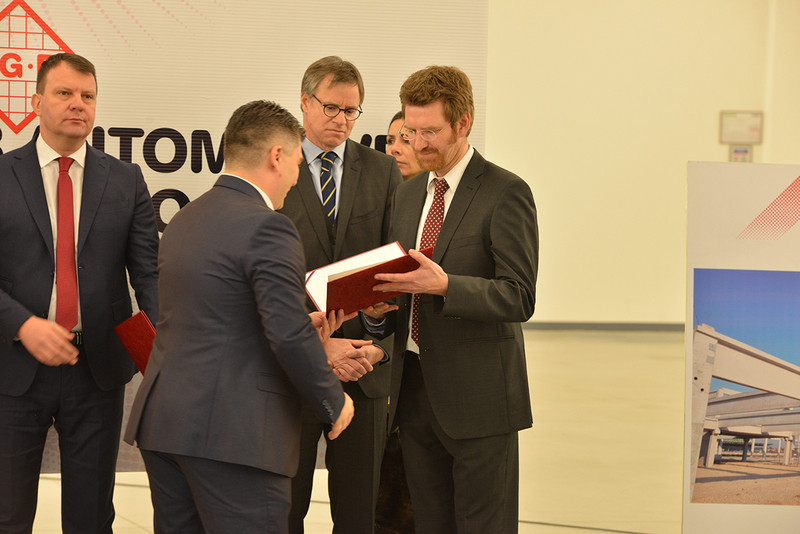 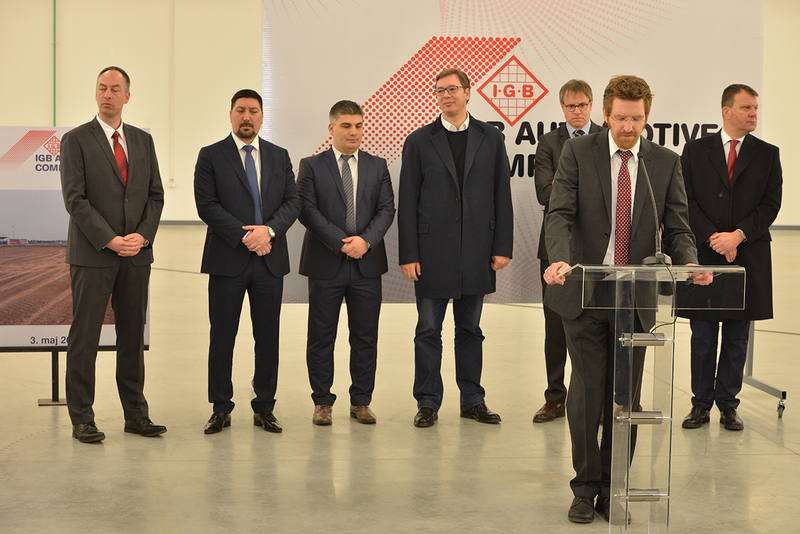 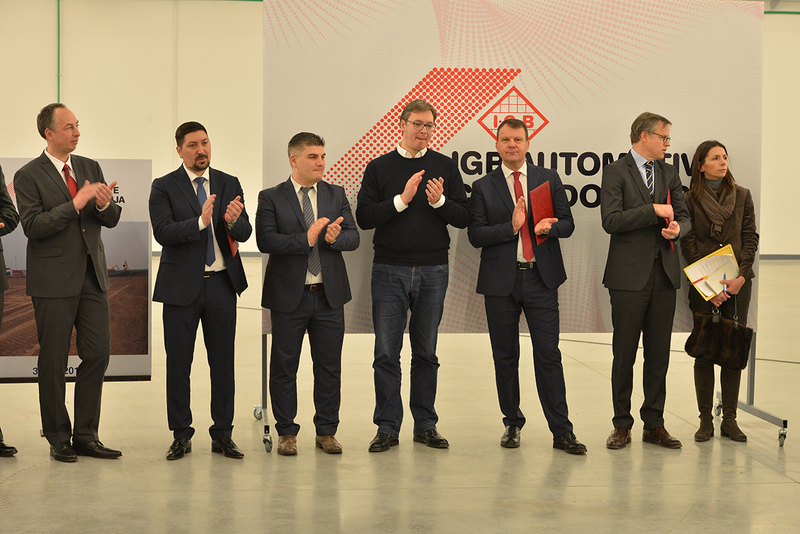 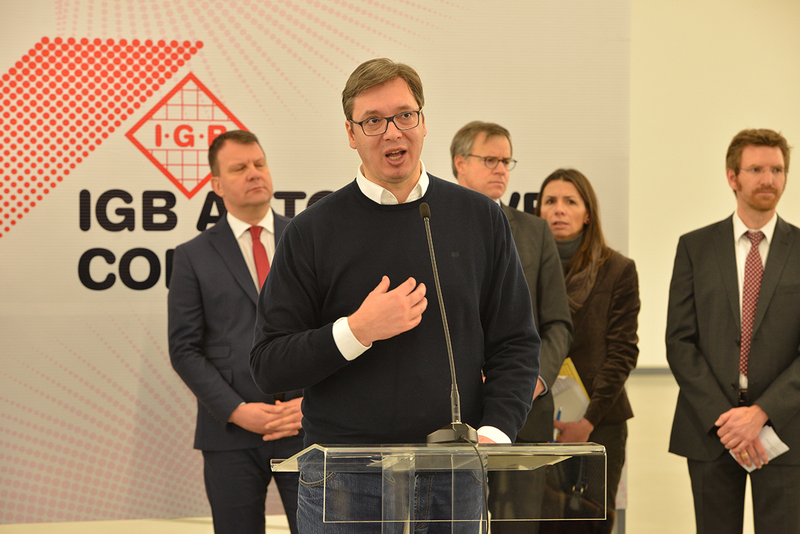 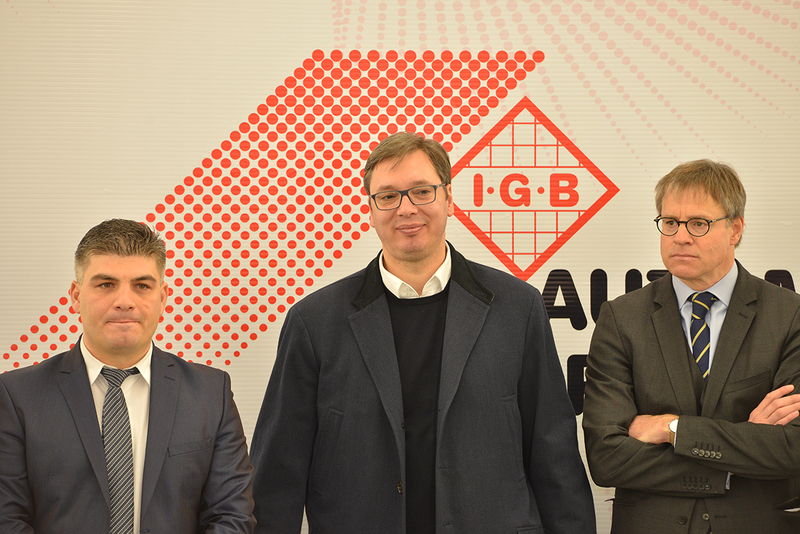 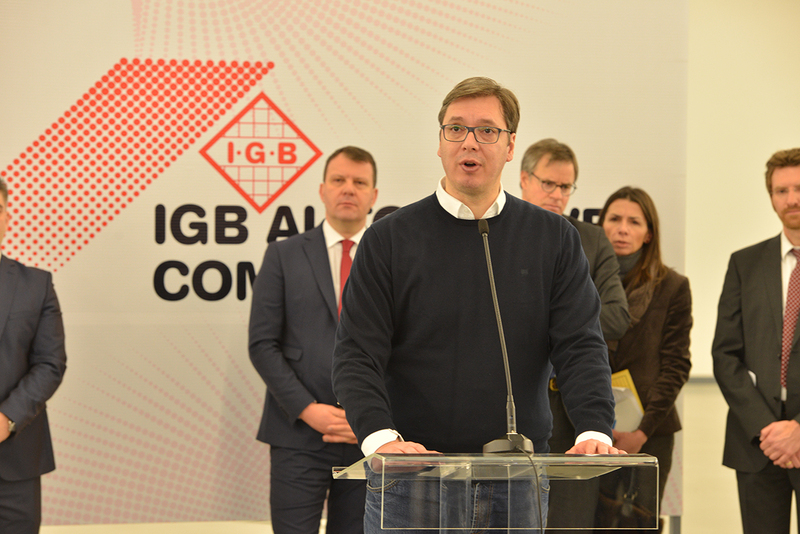 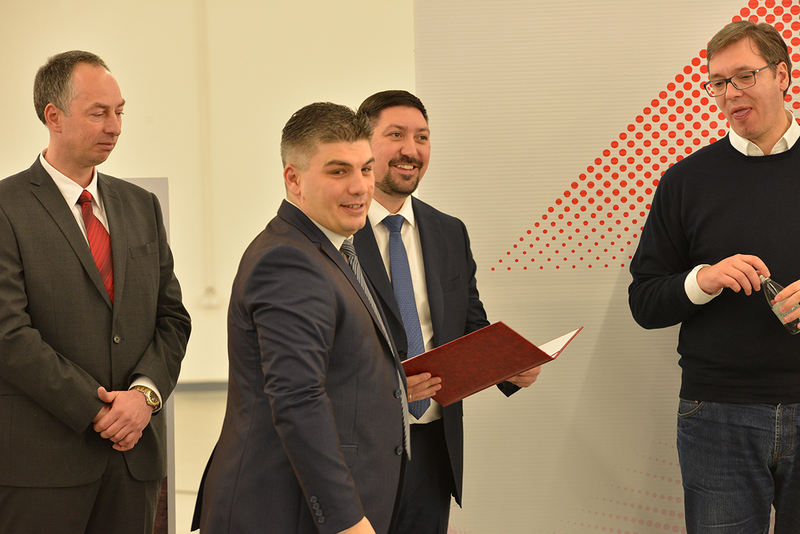 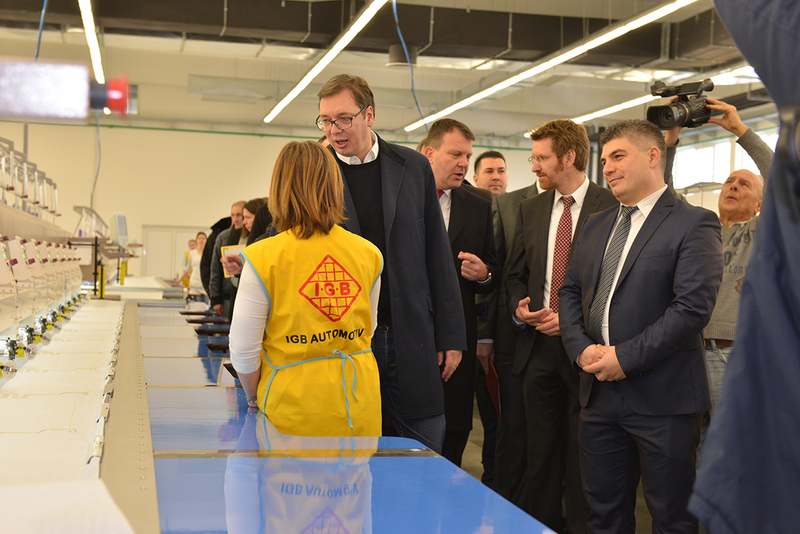 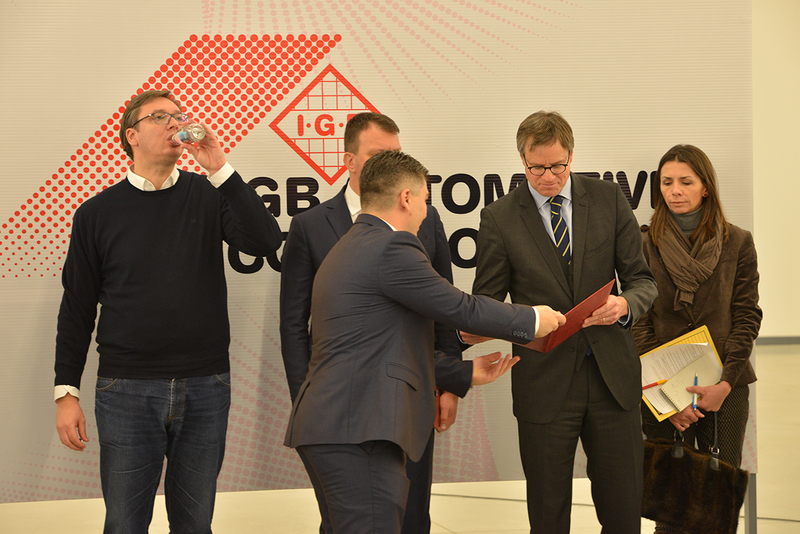 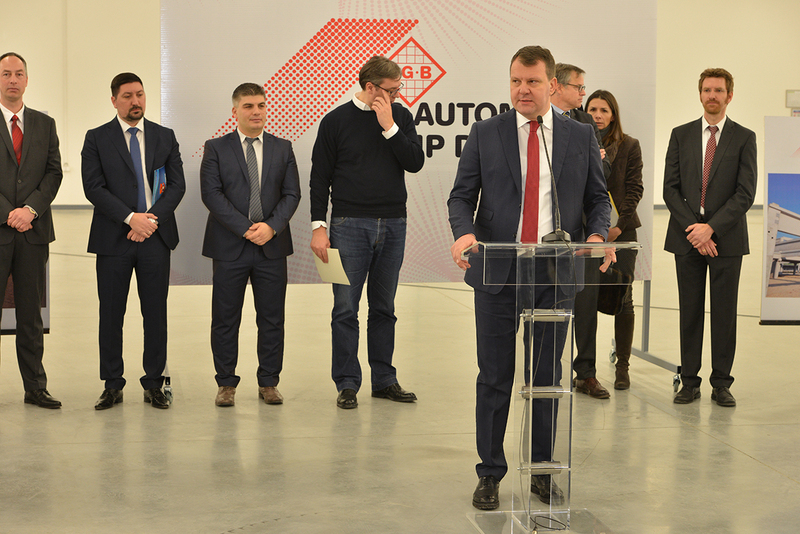 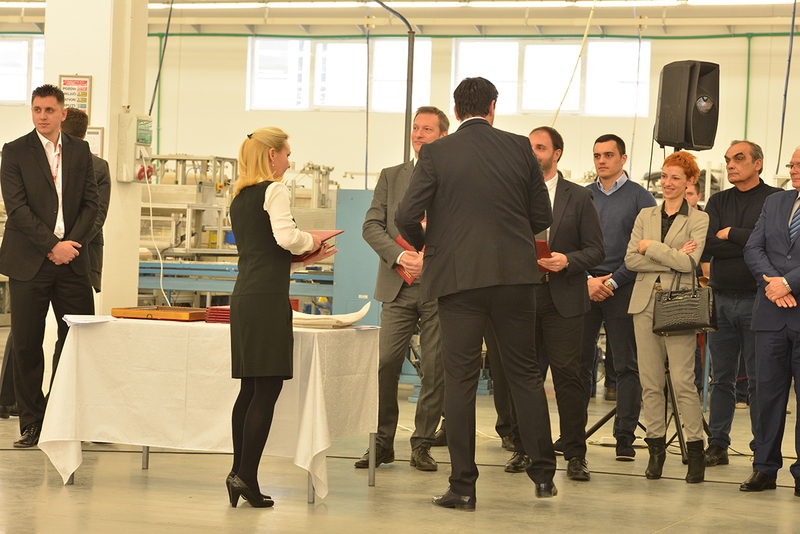 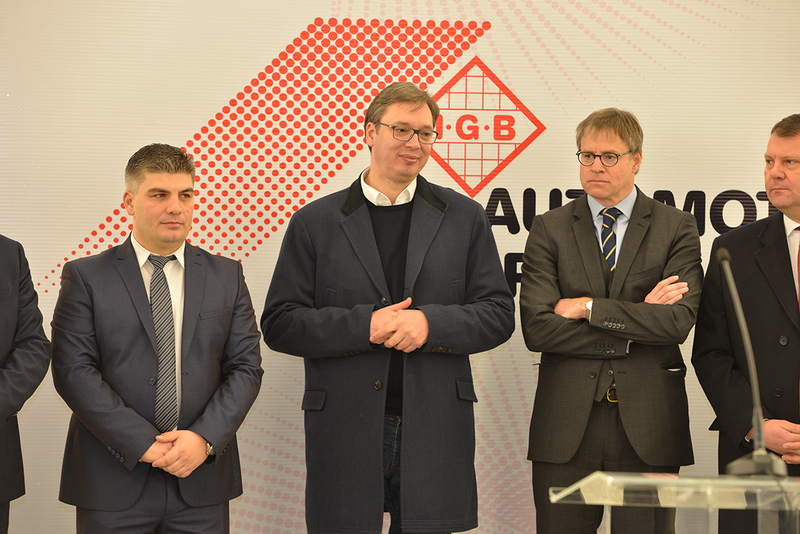 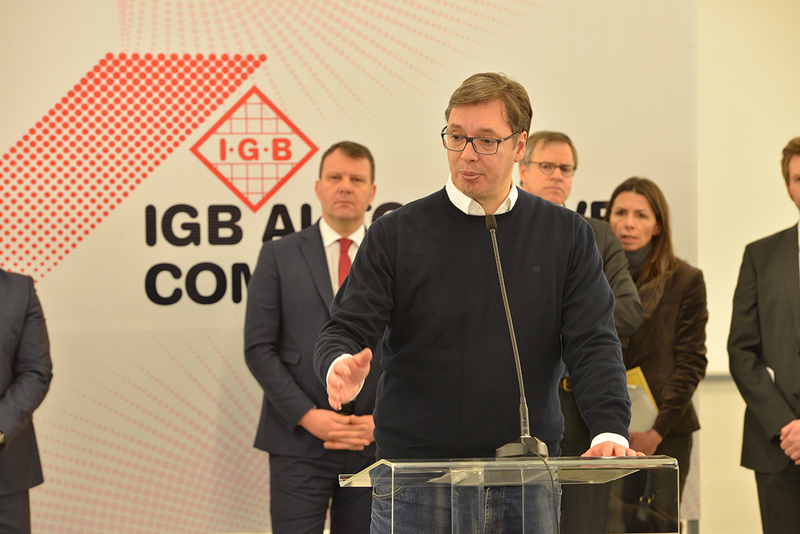 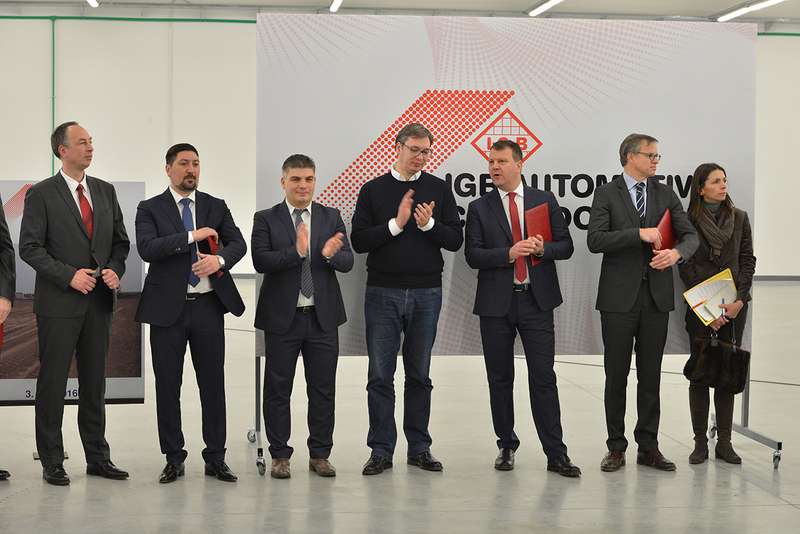 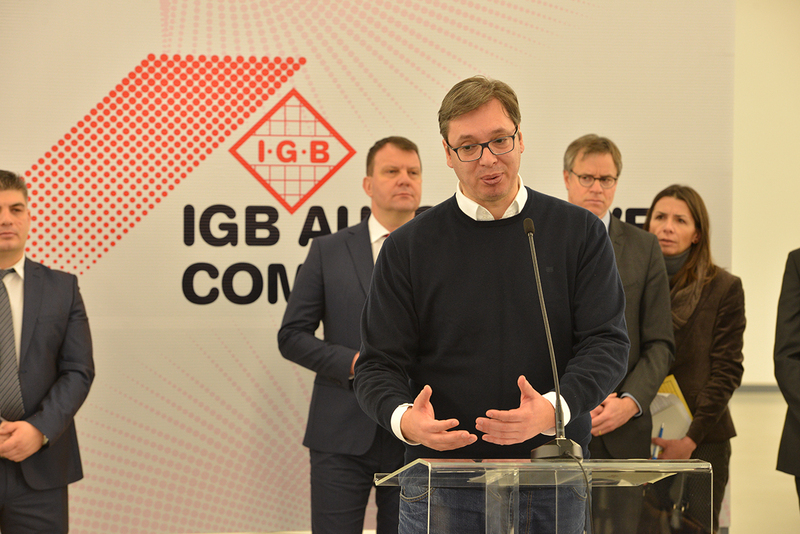 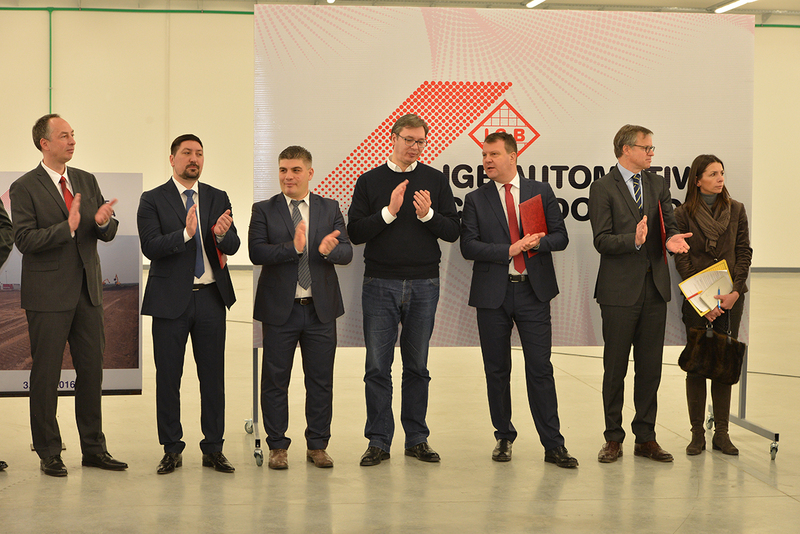 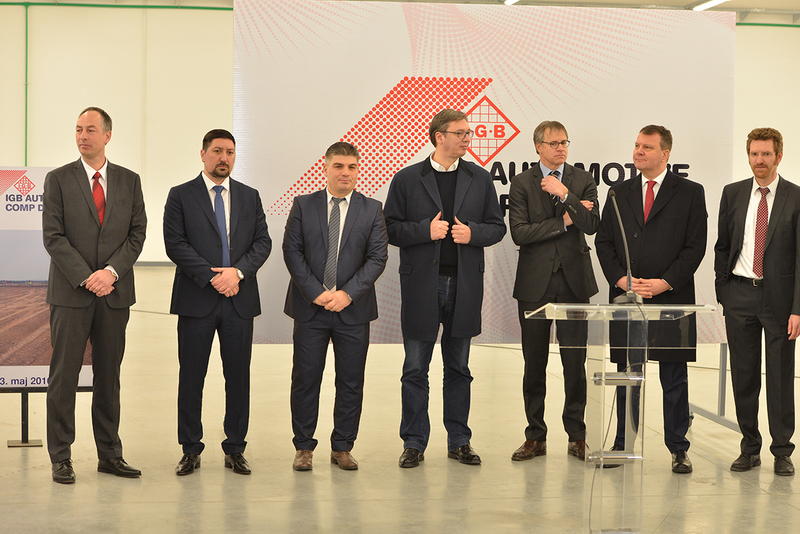 The Serbian Prime Minister Aleksandar Vučić and the German Ambassador to Serbia Axel Dittmann have opened a new production plant of IGB Automotive Comp in the town of Indjija in ribbon cutting ceremony. 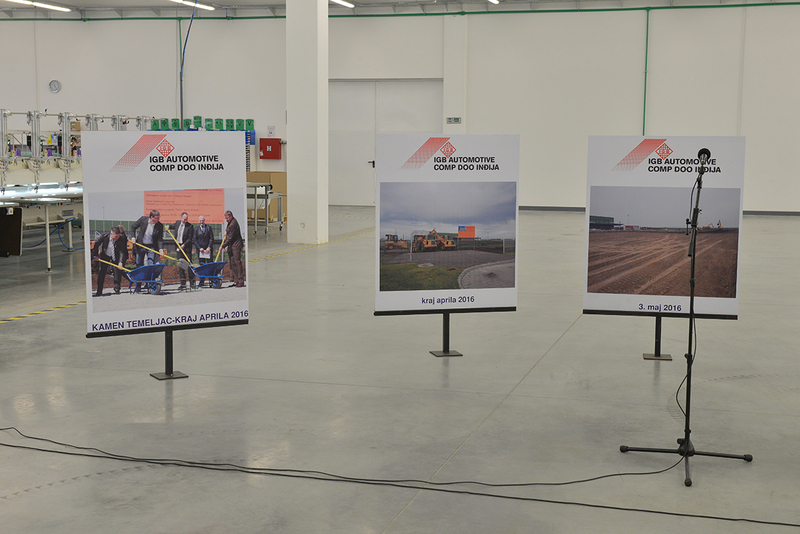 Plant has created new 600 jobs and mostly will employ the citizens of Indjija. 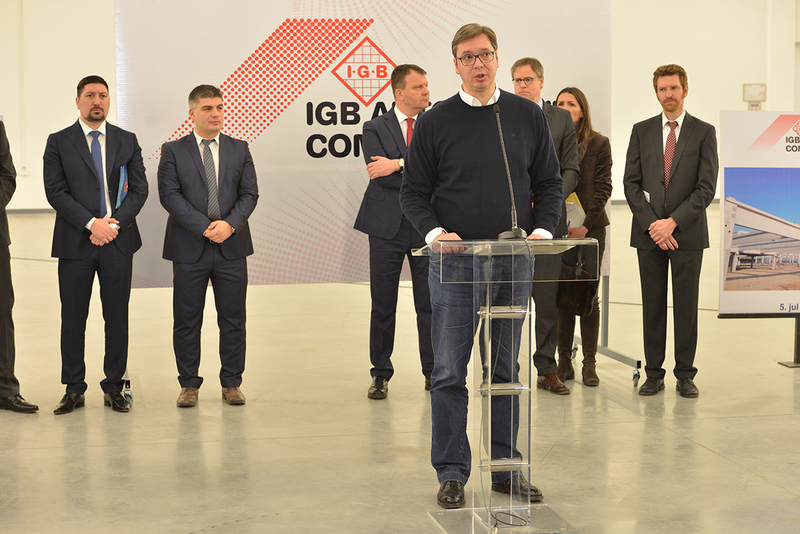 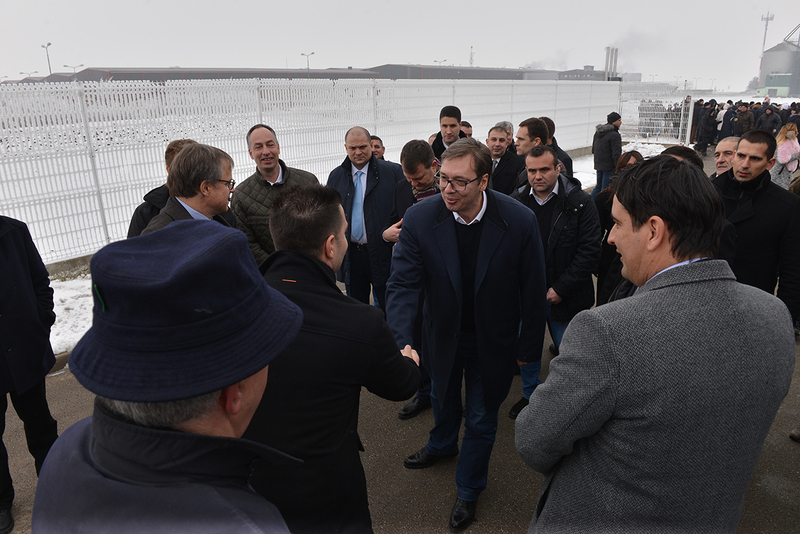 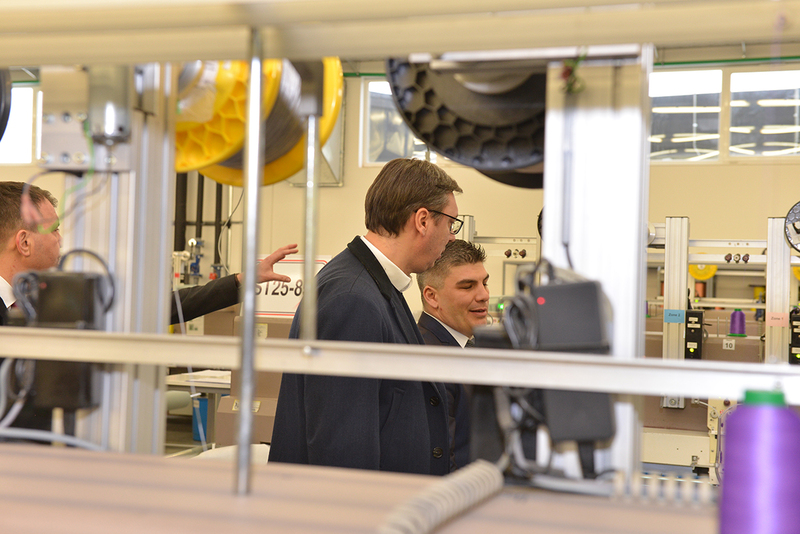 Mr Vučić said that this was 59th factory or plant he has opened and it has clearly shown that in Serbia we had great progress in economy and employment. 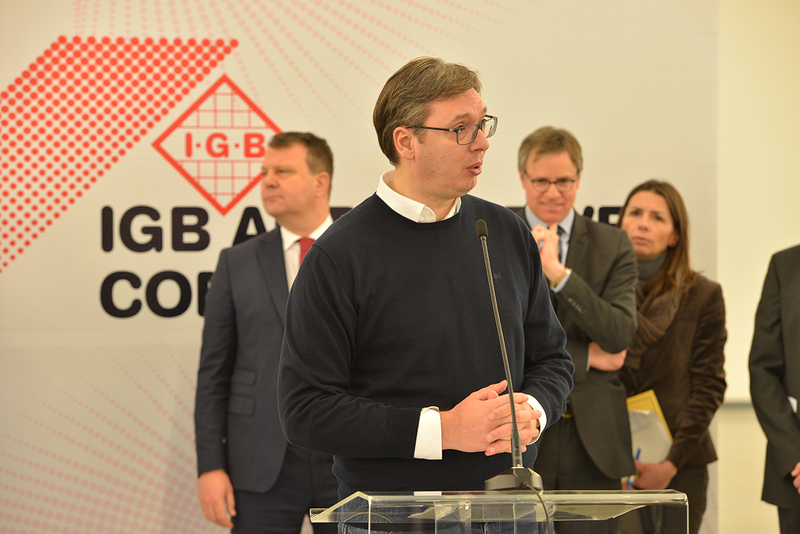 He has emphasized that he was happy because it was another German investment, at the same time he has invited other German companies to invest in Serbia where they can find the best business conditions. 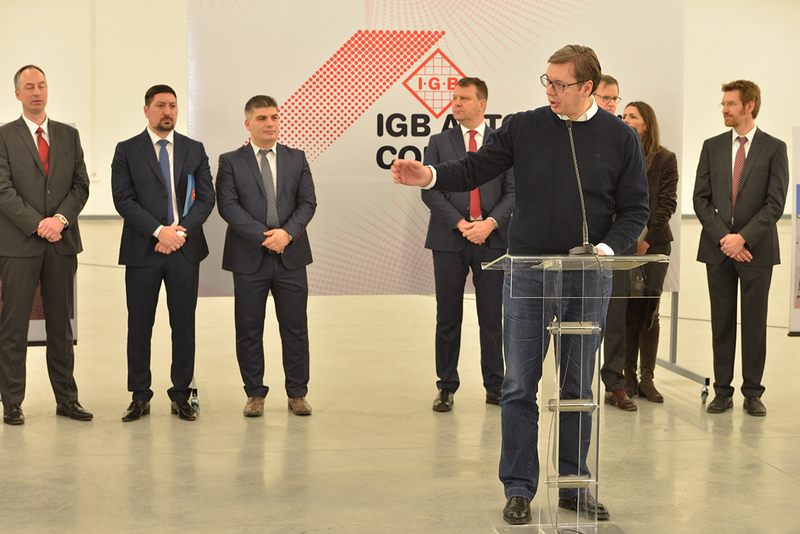 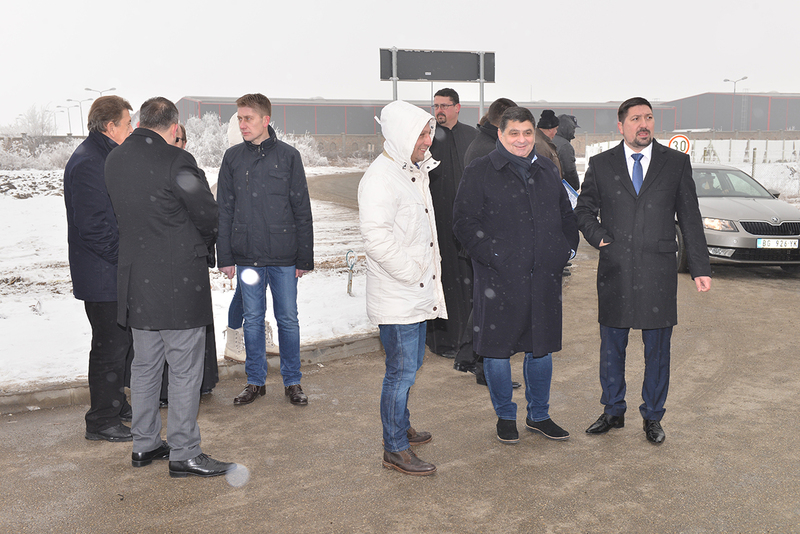 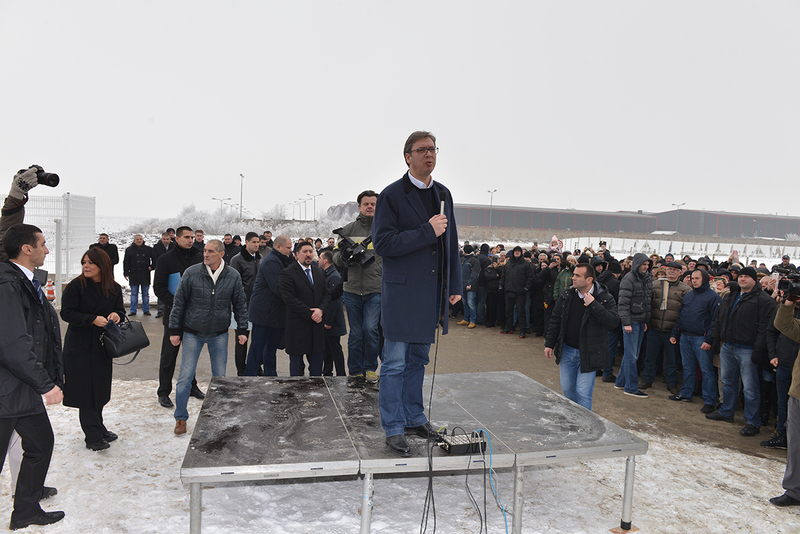 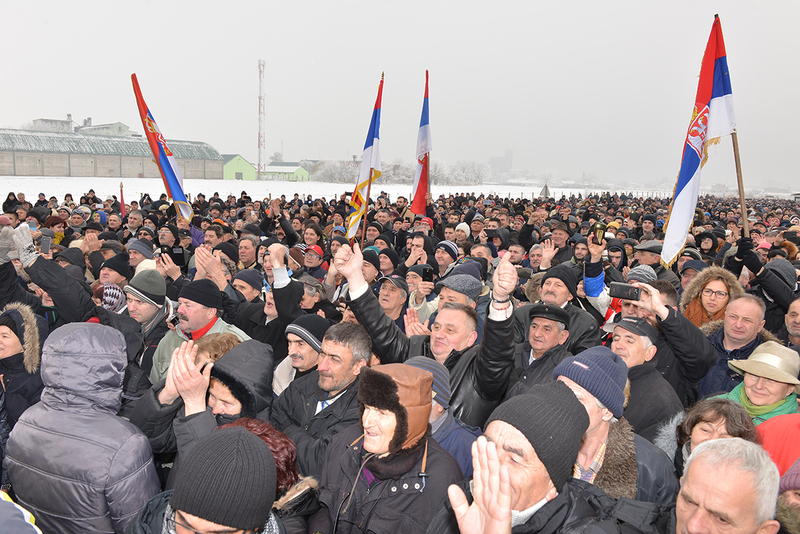 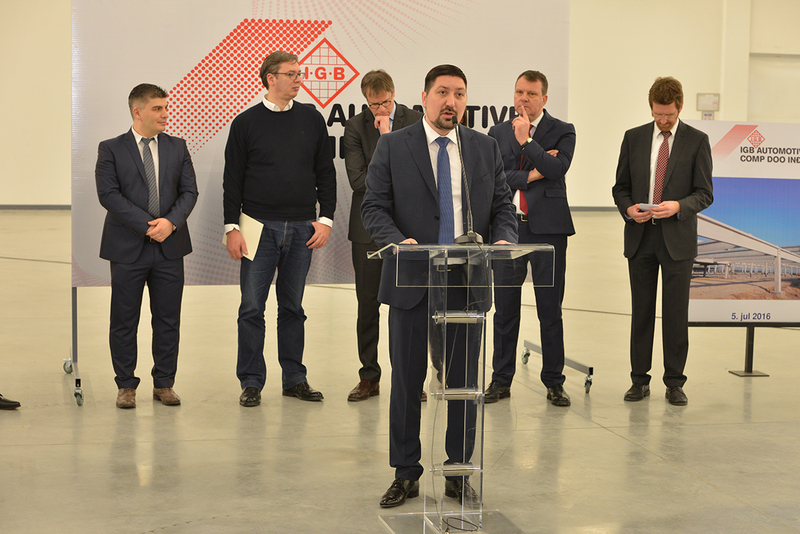 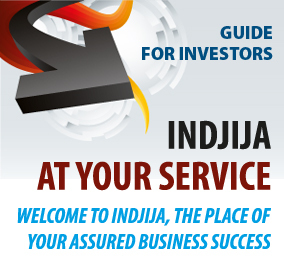 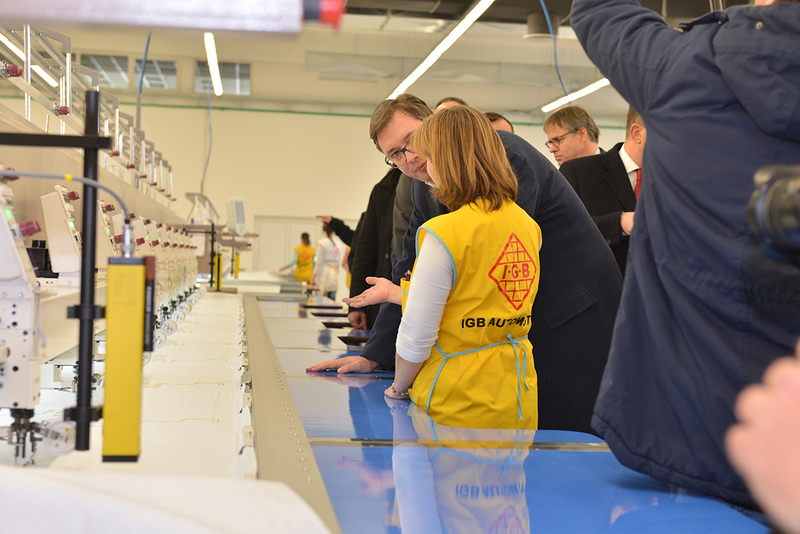 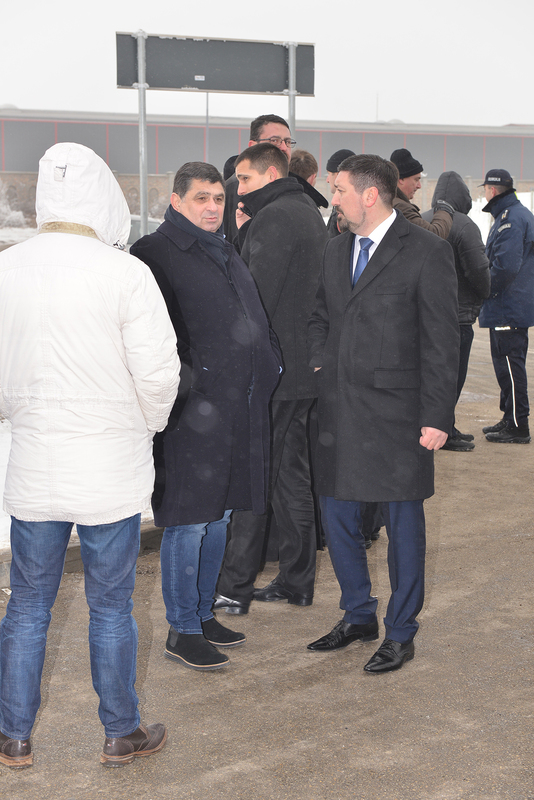 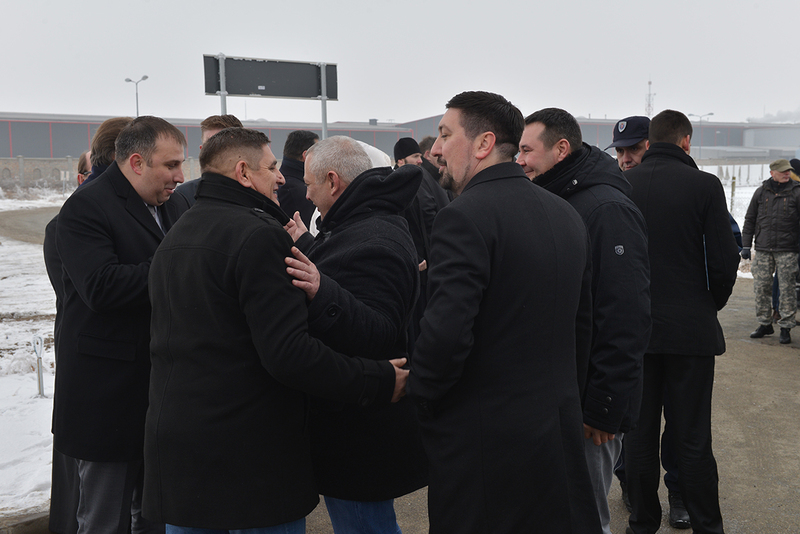 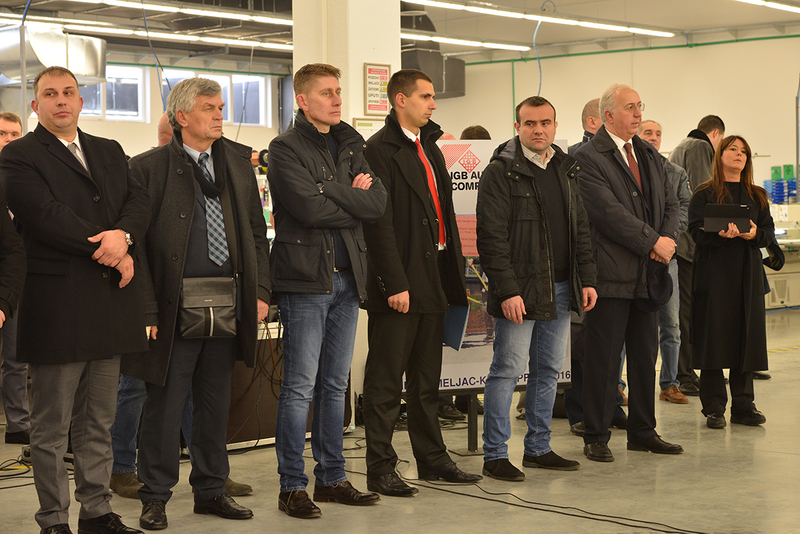 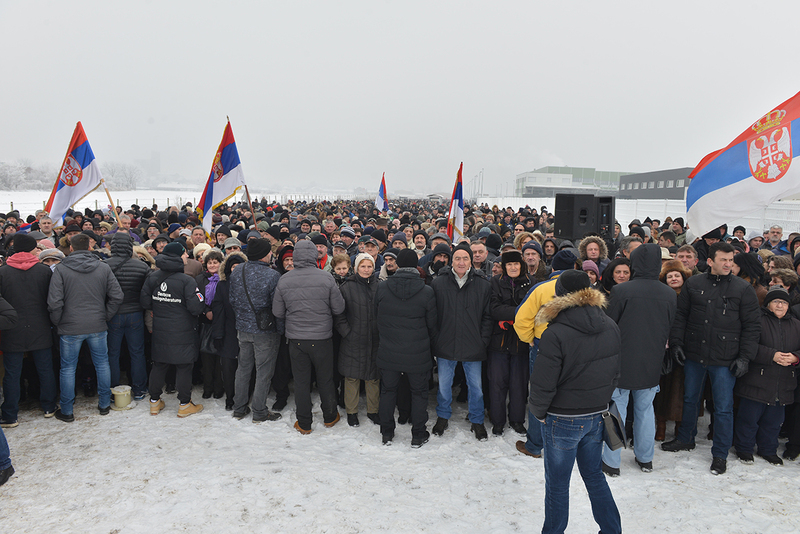 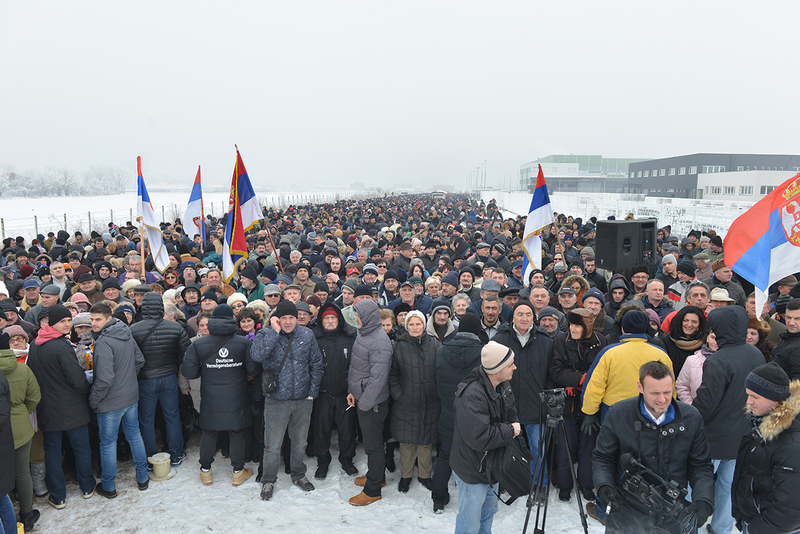 „I am convinced that IGB Automotive Comp in Indjija will have hired 2,500 employees until the end of the year, among them engineers too, and that it will increase the salaries and bonuses. 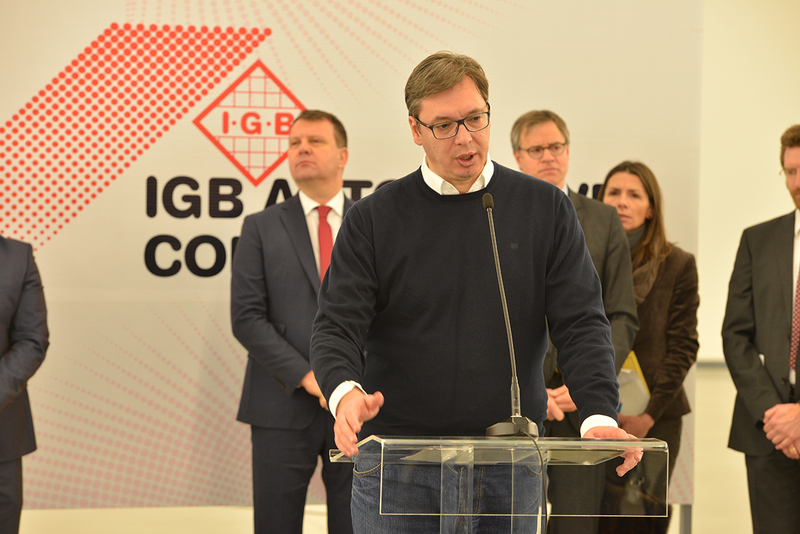 We are living in the region where is the general phenomenon that it is always easier to say something than to do something, where is easy to criticize others and hard to find responsibility. 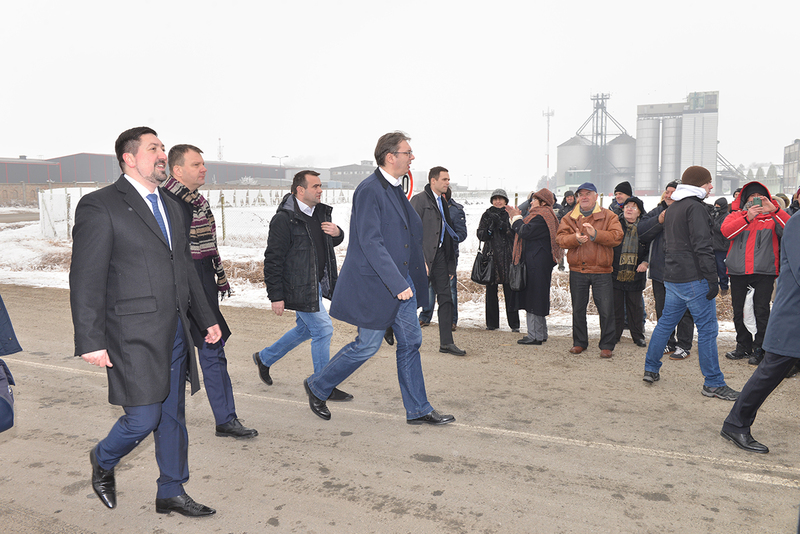 With this new plant we have fulfilled everything we have promised in April last year. 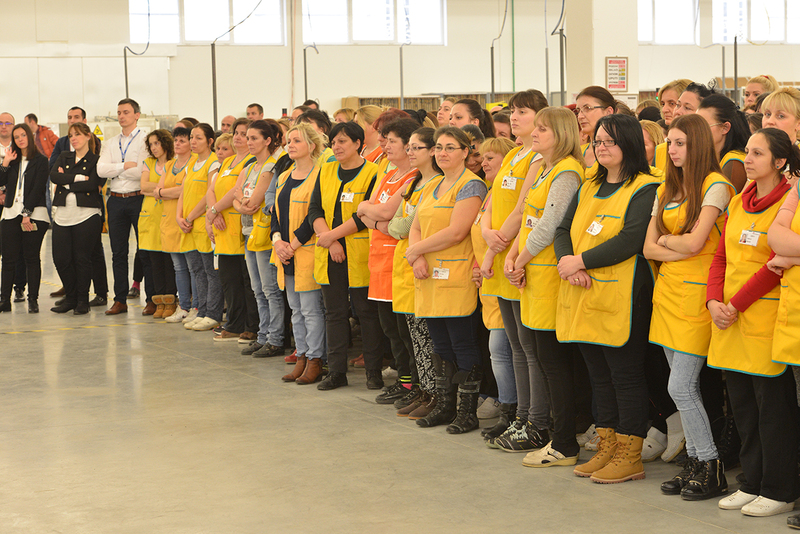 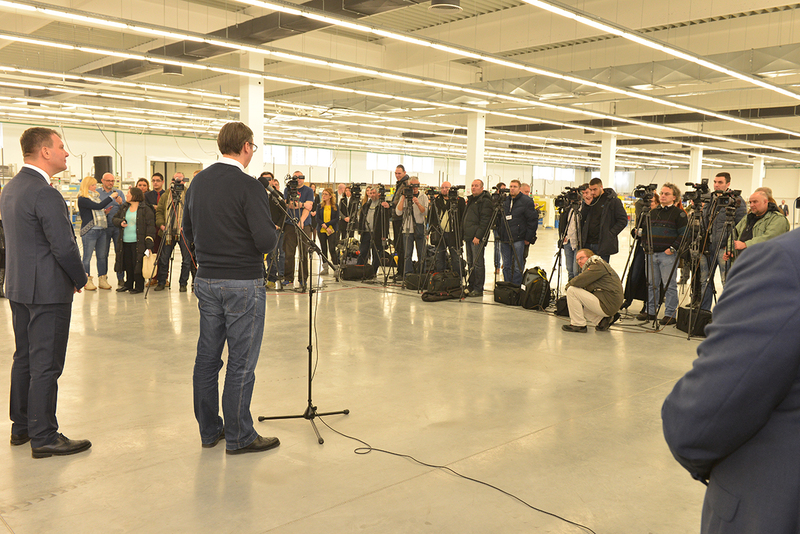 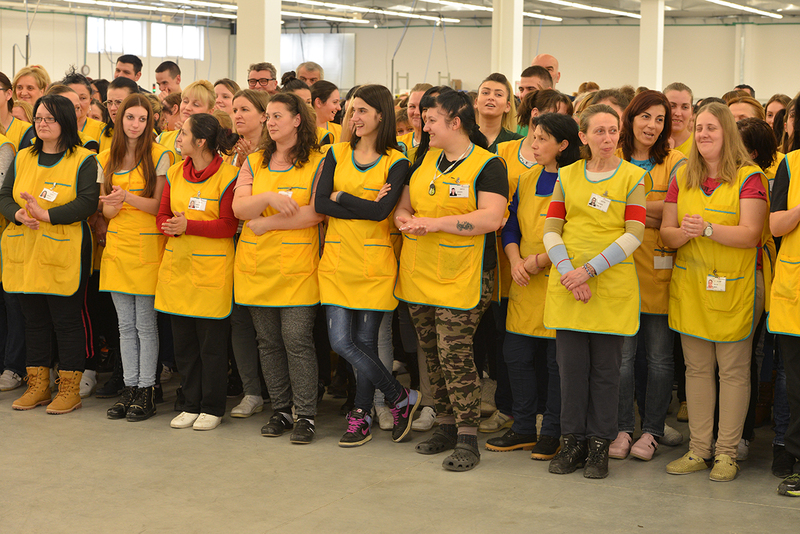 Today we have 600 new employees with good jobs and secure future. 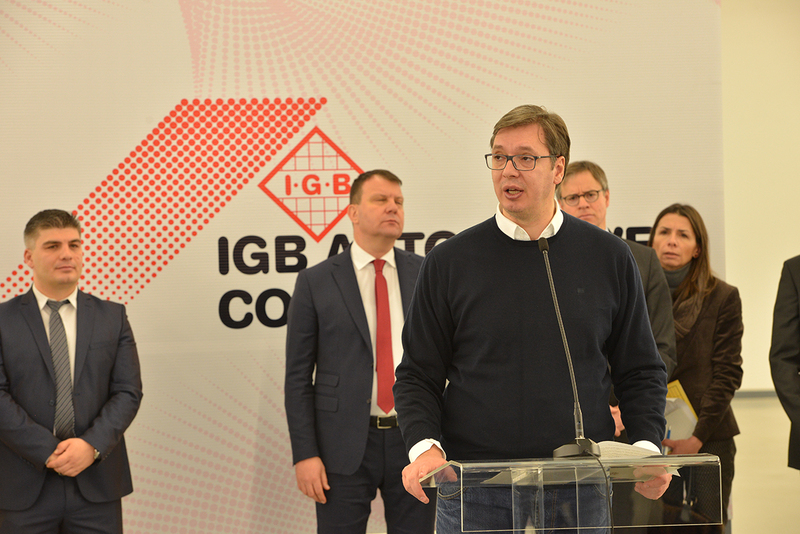 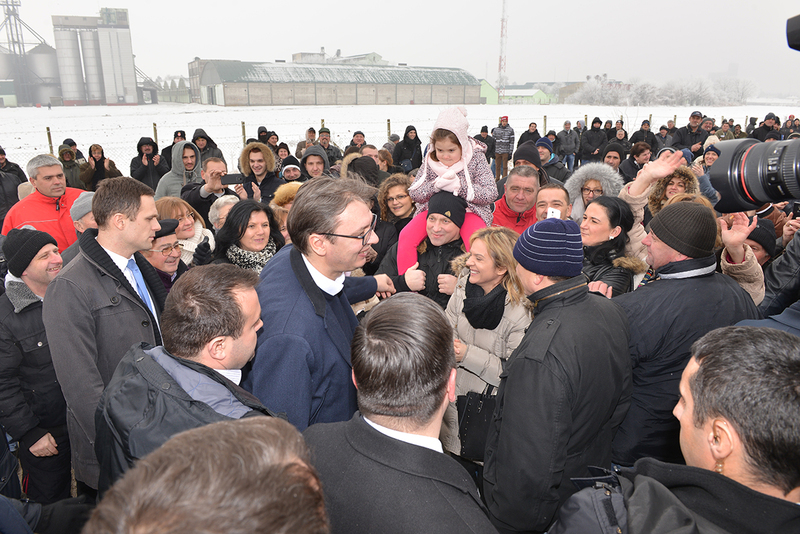 I know that we must achieve higher life standard, that workers work hard, but only with hard work we can advance because nothing will fall from the sky,“ pointed out Mr Vučić. 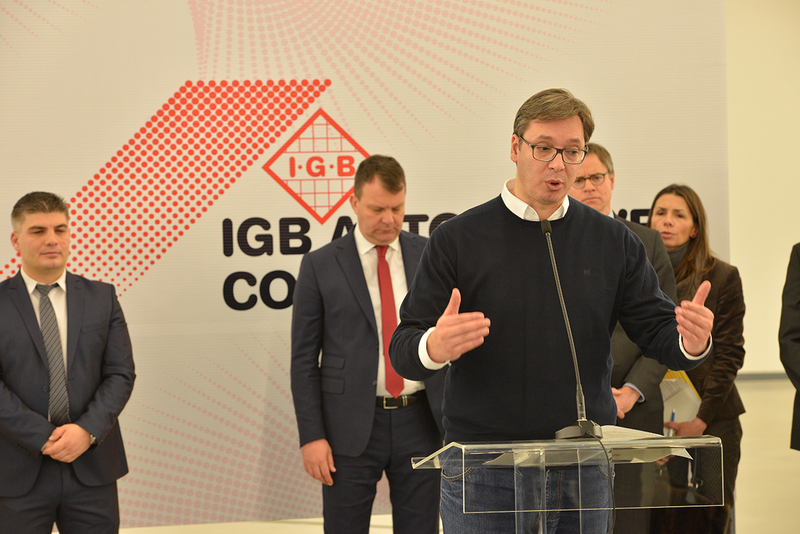 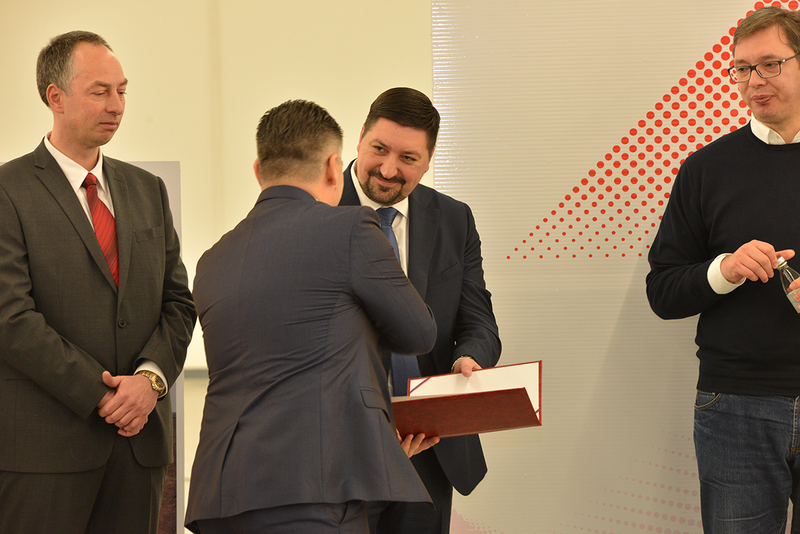 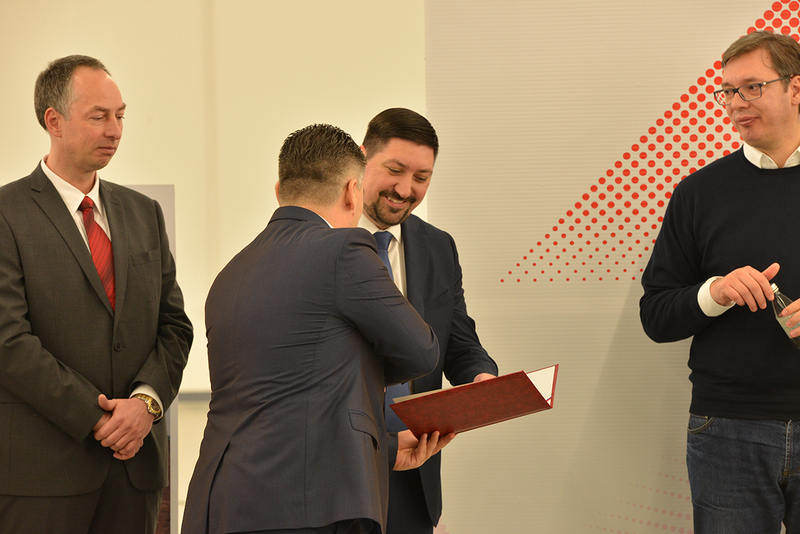 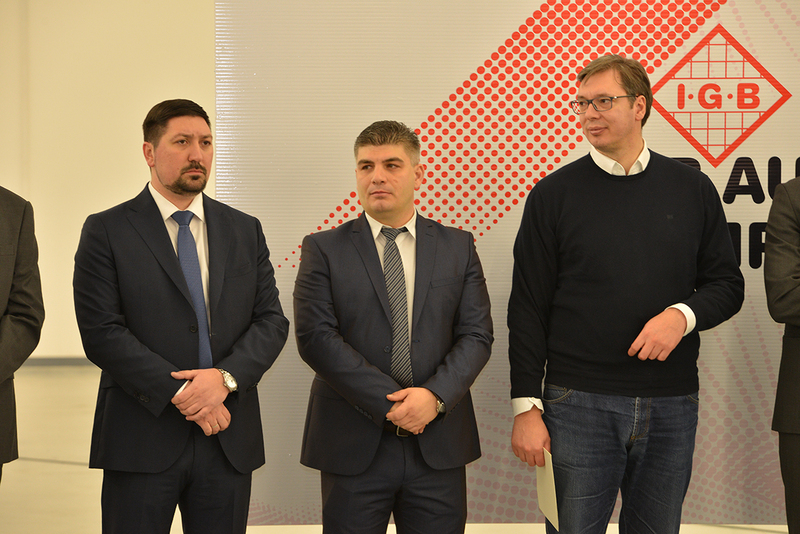 The mayor of Indjija, Vladimir Gak, thanked to the Prime Minister Aleksandar Vučić for his support and German investor for recognising the town of Indjija as the best environment for investment. 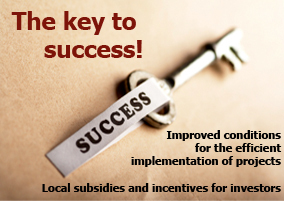 „The main goal of our municipality is that each investor is treated like a part of our community, to sympathize with us if we have neglected schools, if some of our streets are not asphalted or if some medical institution needs new equipment. 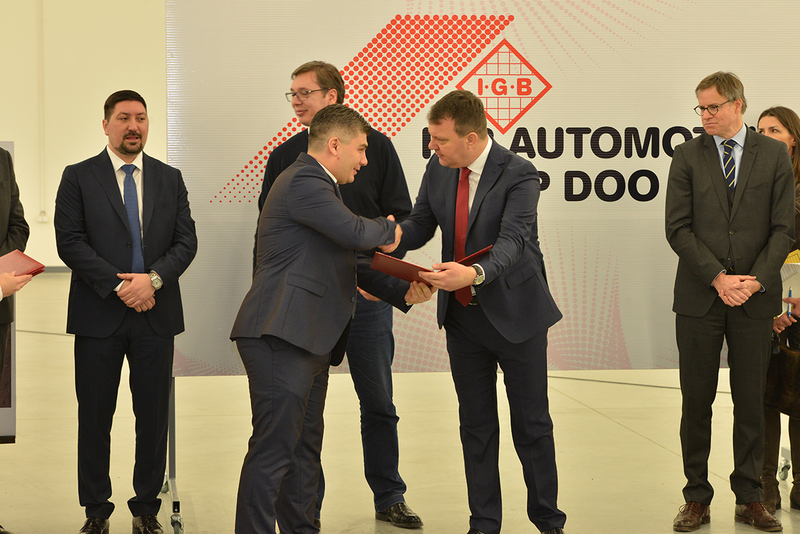 IGB Automotive Comp is recognized as socially responsible company and it is a great pleasure doing business with company like that. 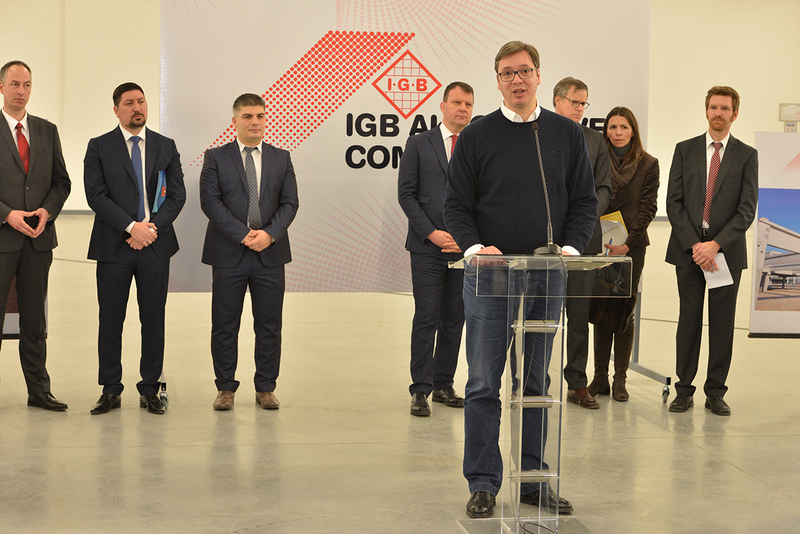 When we took the responsibility to lead the municipality of Indjija we promised that by the year 2020 Inđija will become the biggest construction site in Srem. 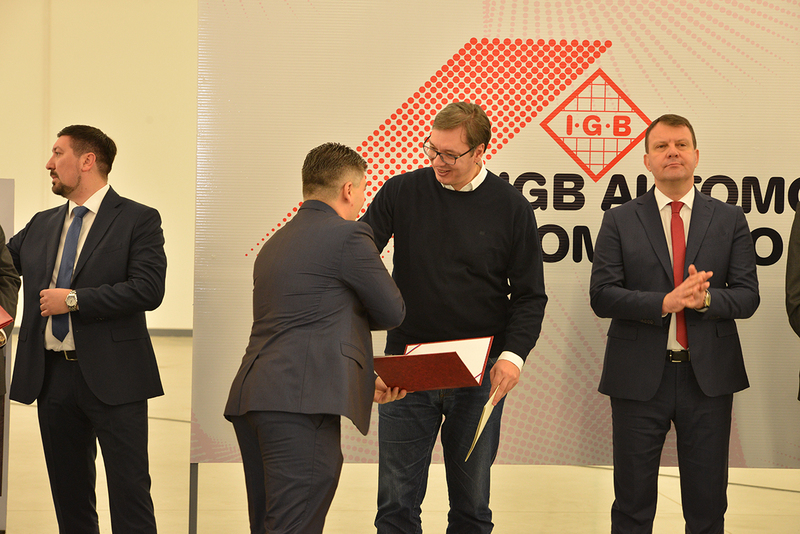 We are doing as we promised and that would be impossible without support of Government of the Republic of Serbia and The Provincial Government,“ said Mr Gak. 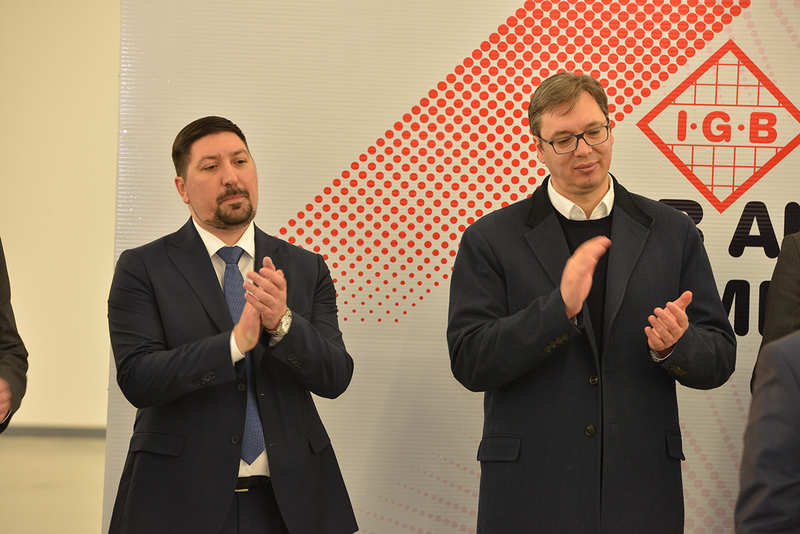 Addressing and greeting 5,000 citizens, Mr Vučić said that only together, with dedicated and hard work, people can build strong Serbia. 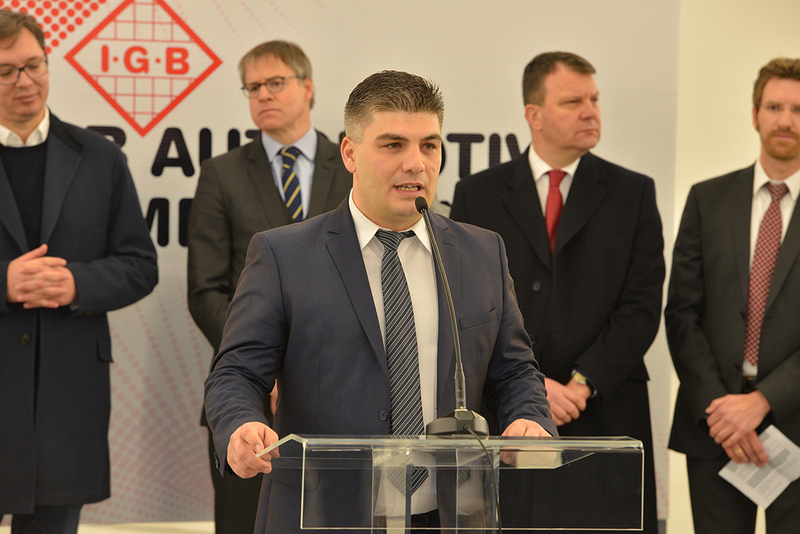 The opening ceremony was also attended by the president of The Provincial Government Igor Mirović, co-owner of IGB Automotive Comp Karsten Hilmer, production manager of the Bauerhin Group Europe, Volker Prescher, General Manager of IGB Automotive COMP, Dalibor Berić, representatives of Chamber of Commerce and Industry of Serbia and the presidents of the municipalities of Srem. 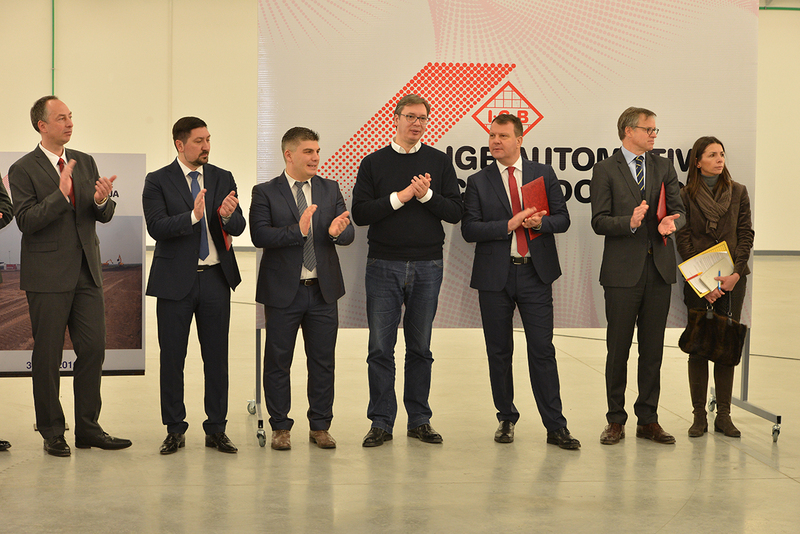 Investment was worth EUR 4.5 million, whose realization has already led to employment of 600 workers, introduction of new products and implementation of new technology. 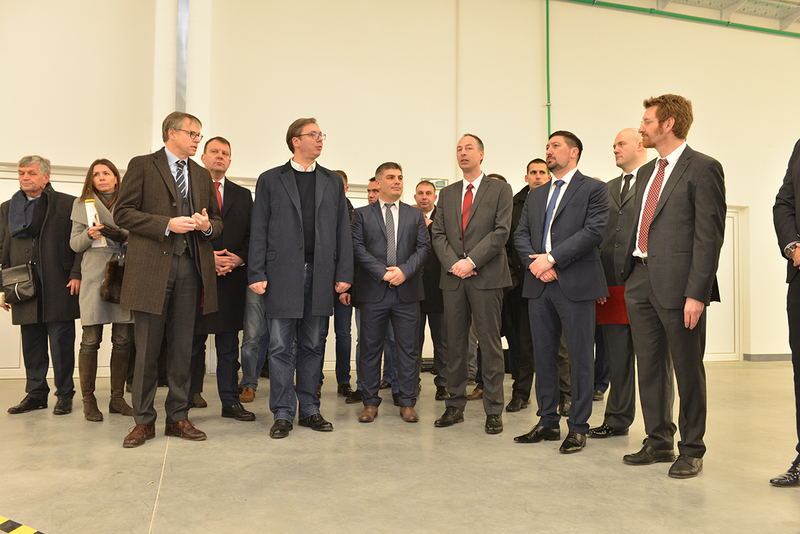 The works on the construction of the new facility started in April 2016, and they were completed in late December of the same year. 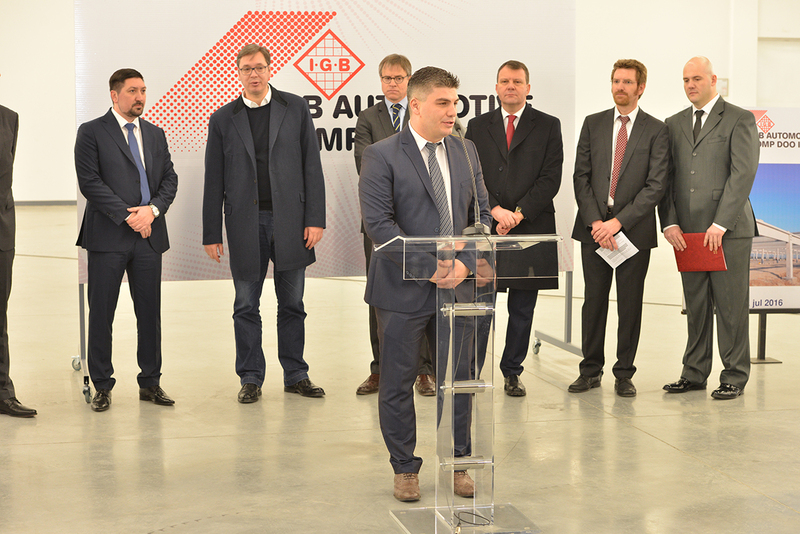 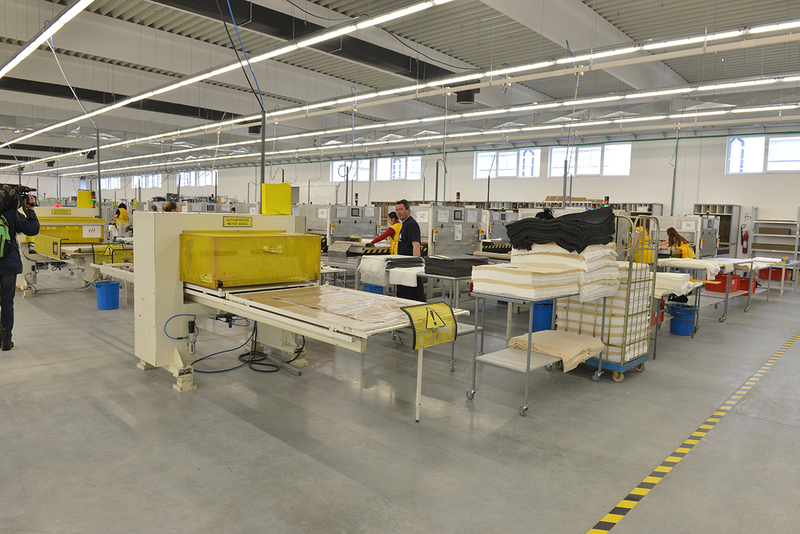 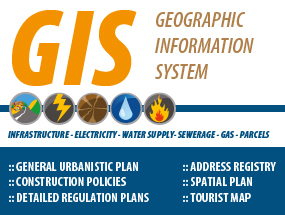 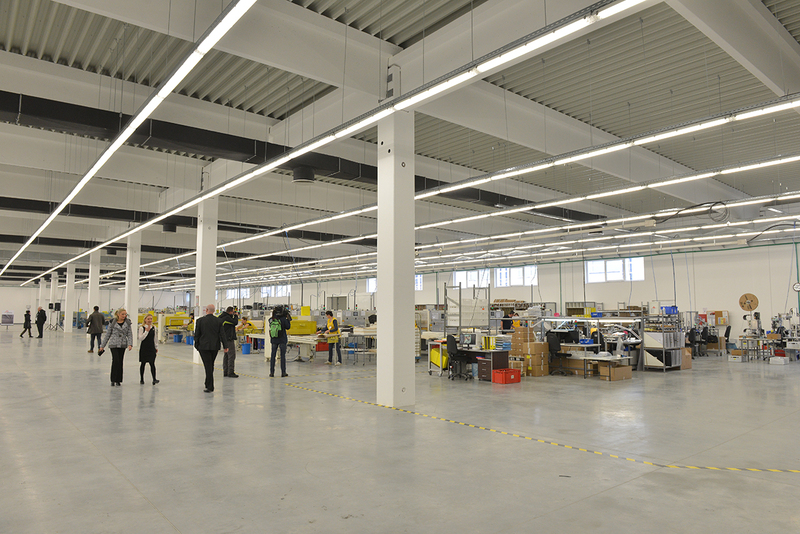 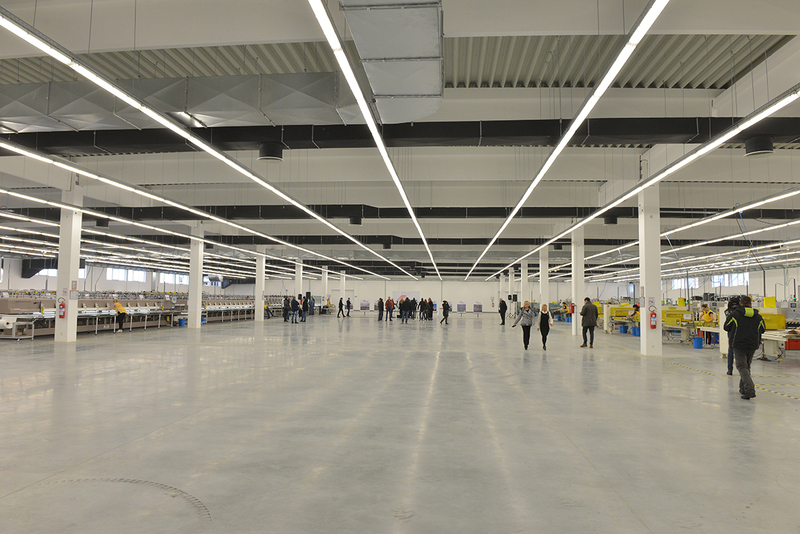 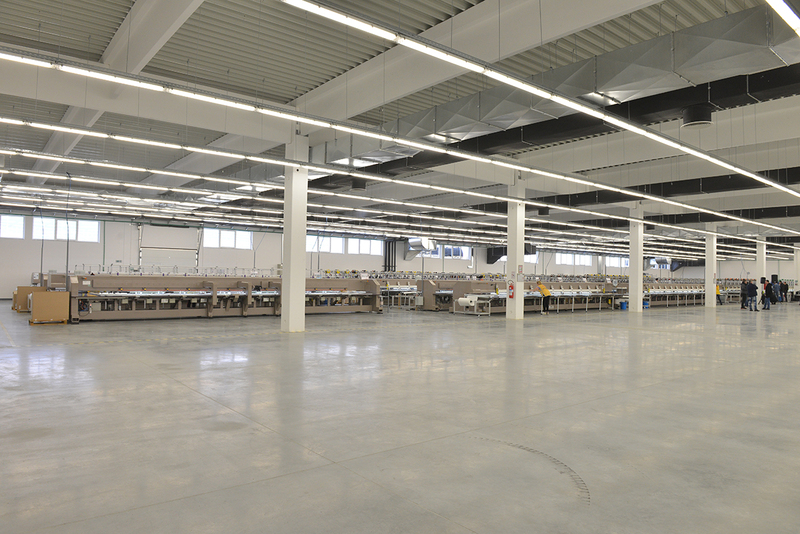 By realizing the said investment, IGB Automotive Comp secured an additional 7,800 m2 premises. 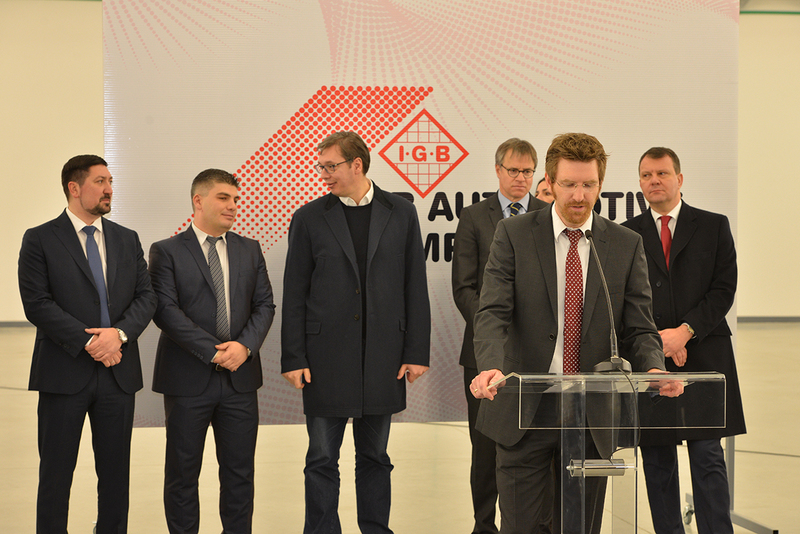 IGB Automotive Comp was founded by the German company I.G.Bauerhin GmbH in 2007 and it currently employs 2,200 workers. 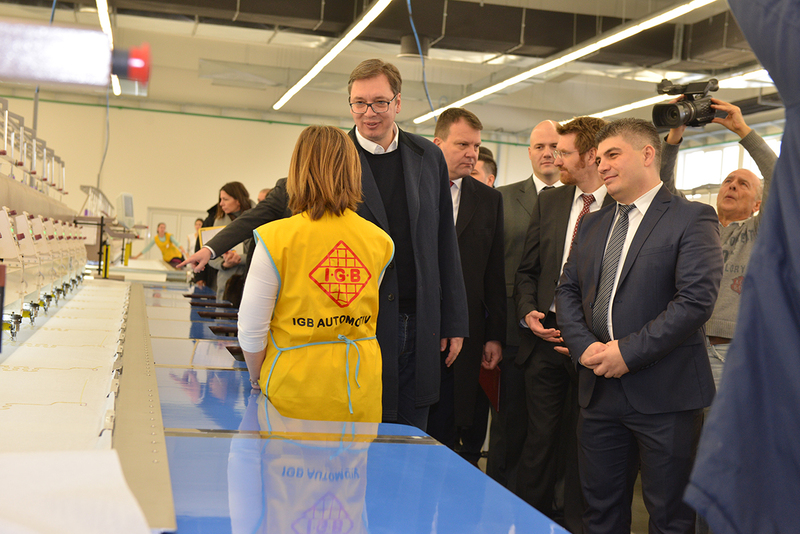 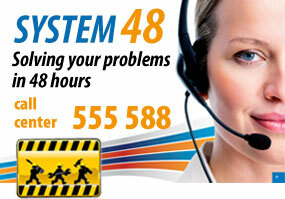 The company has received subsidies for employing new workers from the Government of Serbia. 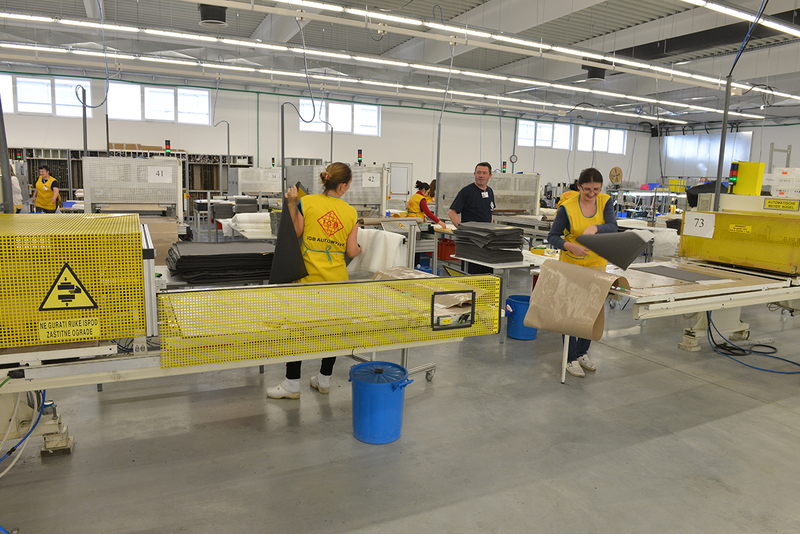 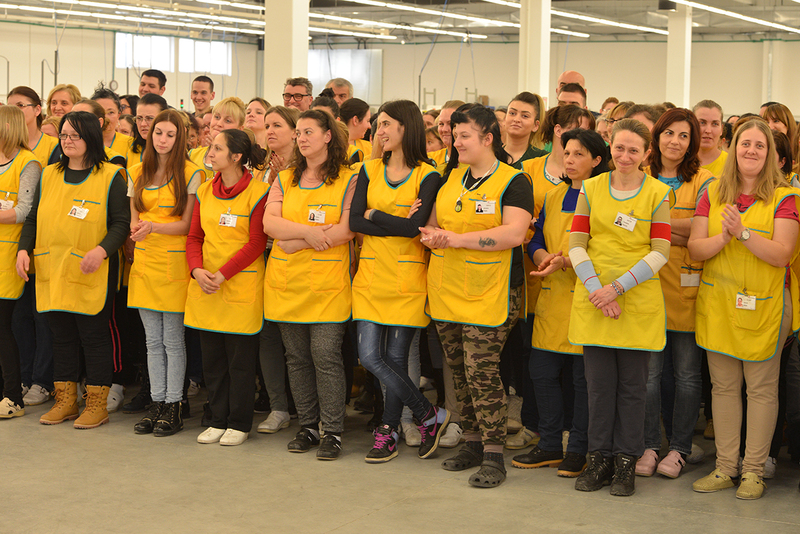 The group has production facilities in several countries, and the factory in Serbia is the largest one and employs the largest number of workers. 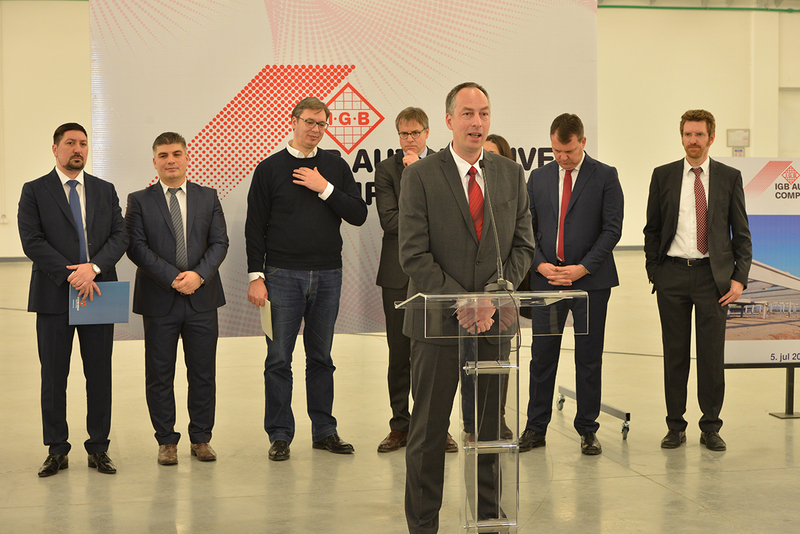 The annual production of IGB Automotive is 20 million products.